You can display your printed banner in a variety of ways. Whether it’s going outside or indoors there are many options you can choose from to showcase your new printed banner. If your banner is going to be hung outdoors you should ensure that the banner is installed properly so it doesn’t tear down by the wind and strong weather. Here are some methods we recommend for outdoor use. and are up to 3x’s stronger! Once the rope is through the grommets/BravoTabs, tie it to a solid free-standing structure like a building or fence. Bungee cords are great for stretching your banner while also allowing some give in the wind. We recommend using a combination of Banner Ups BravoTabs and punching a grommet through it. 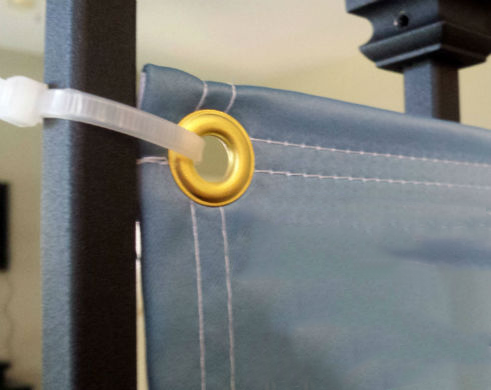 Bungee through the grommet hole and secure it to a fence, building, or the nearest free-standing structure. Ensure the bungees are long enough so that they are not creating too much tension as this can cause failure. Zip ties are an easy way to install your banner. They work best along a chain-link fence. Use grommets or Banner Ups along the banner. Then simply run the zip ties through the holes and around the fence. 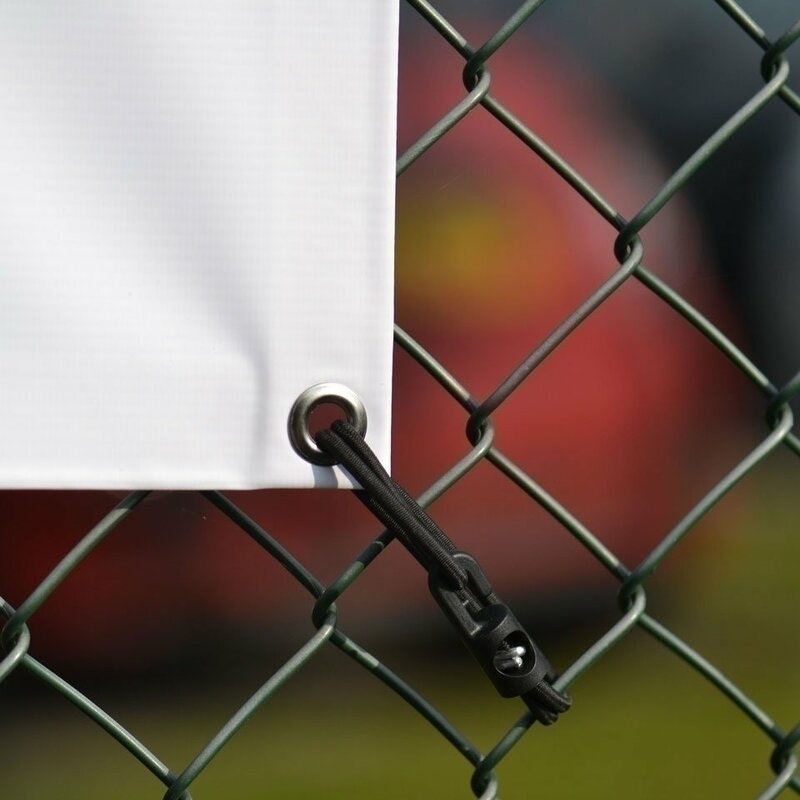 Tighten the zip ties so your banner is close to the fence as this will reduce wind damage. 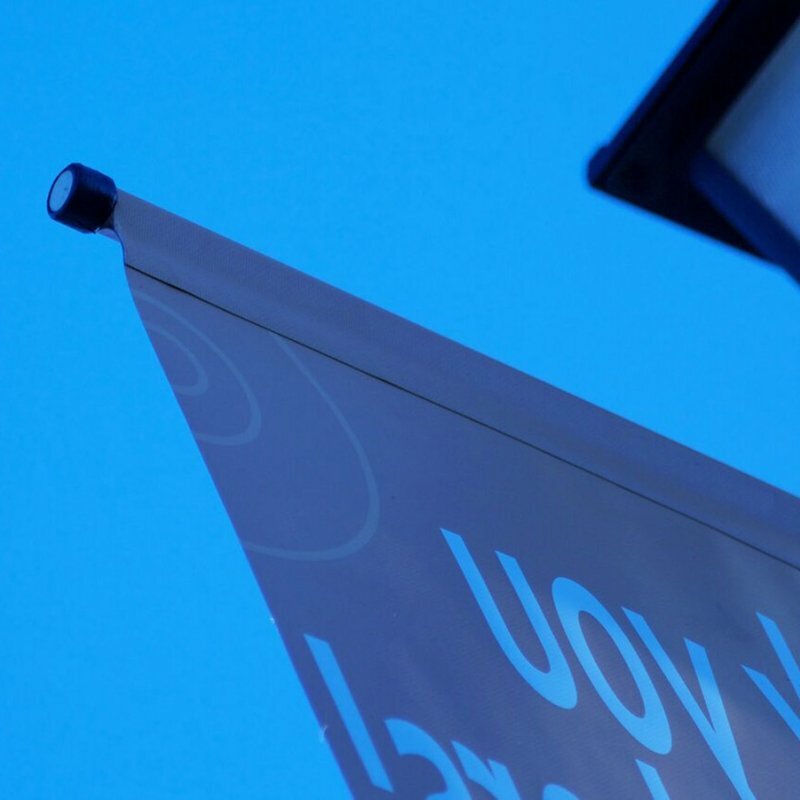 To hang your banner on a streetlight pole, use a pole bracketing system. Create pole pockets on your banner to slide over the bracket system poles. Pole pockets are usually sewn into the banner. We have an easier way to create pole pockets using our PoleTape. PoleTape and PoleTape Pro will allow you to create strong pole pockets without the hassle of sewing. Retractable banners are great for trade shows and events. They are portable banner stands that include the banner rolled inside. You simply attached a vertical rod in the back of the stand and retract your banner. The banner is made of a dye-sub fabric material and allows for easy rolling. You can have multiple rolled banners that can be swapped out within the stand. The x-frame is tripod system in the shape of an x to display banners. This frame folds out to an x shape. You attach the banner along the x points (two on the top and two on the bottom). 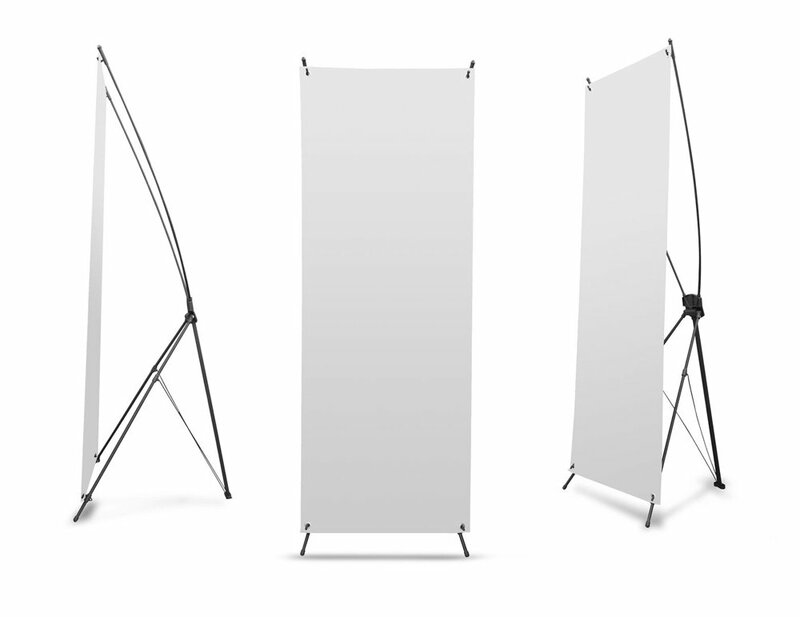 This stand is like the retractable banners stand except it does not store the banner within a base. Silicone Edge Graphic (SEG) Frames allow for fabric printed banners to be displayed with ease. The fabric banners have sewn strips of silicone along the edges. You tuck the silicone edge into the aluminum SEG frame channel. The SEG Frames are found in airports, malls, and other retail stores. They are commonly backlit with led lights. The hassle with these types of banners is sewing the silicon onto the fabric. Our solution is Banner Ups KederTape a new sew solution to SEG Signs. Simply peel off the backing of the KederTape and stick it to your fabric banner. Then tuck the banner into the SEG frame. You end up with beautiful SEG banners without the hassle of sewing. 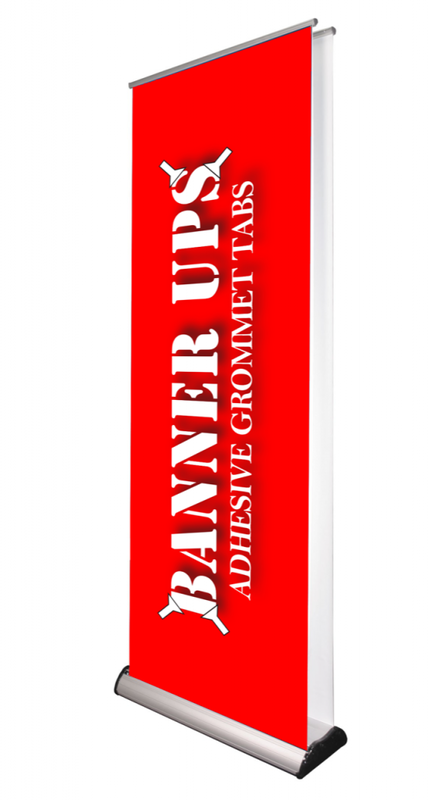 Banner Ups® products allow you to instantly create super-strong banners at a fraction of the time and cost of grommeting. 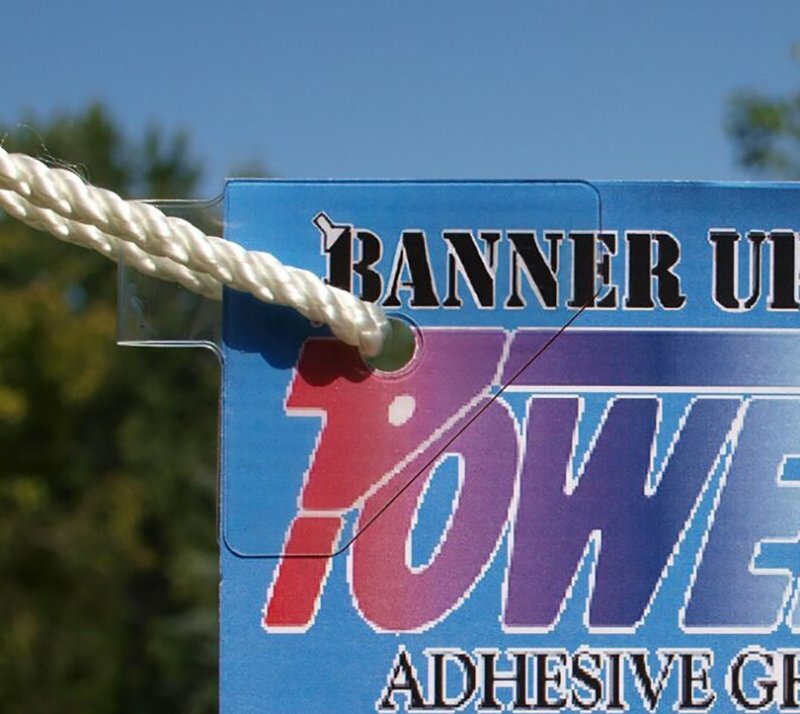 If you would like to try any Banner Ups products to help make your banner and sign hanging super strong and easy, give us a call at 800-869-9601 or email us at customerservice@bannerups.com.